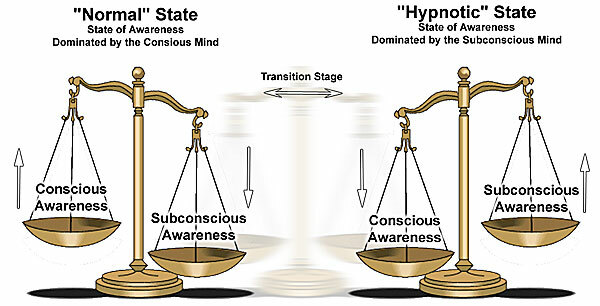 It is important for my clients to understand just how hypnosis works through the subconscious mind. It is essential this is clarified at the beginning of my sessions as it makes for more productive and successful outcomes! The reason for this is that no matter how much someone wants to do something 'consciously' if the 'subconscious mind' does not agree than it will not work. This is why sometimes the 'harder you (consciously) try to do something, the harder it gets'! The 'conscious mind' is analytical, critical, contains will power and is the part of the mind that makes conscious decisions on a daily basis. Decisions like 'what should I eat'? 'what should I wear?' and many more decisions we make throughout the day. Most people report their problem to be what their rational/analytical conscious mind thinks the problem is...which is usually incorrect. Many philosophers have compared the conscious mind to a drop of water in the ocean whereas the subconscious mind is the ocean itself - where the true answers/solutions await. 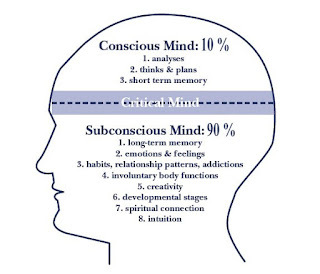 The subconscious mind is everything we do 'automatically'. It is like a vast library/storehouse of all our memories and experiences. Every good and bad feeling we have ever had is stored away in the subconscious mind and can be retrieved at anytime. It also houses emotions, beliefs, phobias and habits such as smoking, weight, mail biting, stress and many more. It is like an enormous computer than controls our lives, within where many programs run, some of which do not serve our best interests in terms of our health and well-being. Whether it be a smoking program, an overeating program or a stress program. The good news is that these programs can be easily removed using hypnosis. For example, most smokers consciously agree that smoking is detrimental to their health but it is the subconscious program (i.e. the compulsion) that keeps them lighting up. It is not a logical problem but a subconscious program. Their decision to stop smoking consciously (albeit a good one) comes into conflict with the subconscious which has attached pleasure to smoking (e.g. I need a cigarette with a cup of coffee, a drink, on the phone, etc.). 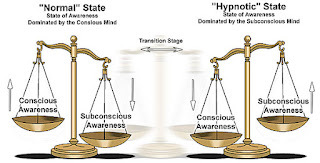 Hypnosis is so effective because the hypnotic induction by-passes the critical factor of the 'conscious mind' and directly accesses and communicates with the 'subconscious mind'. The subconscious communicates to a large extent by visualization/imagination ... there is an old saying 'whatever happens in the imagination happens in reality afterwards'. In other words we are subconsciously, manifesting our own reality. There is no better feeling than during my hypnosis sessions when my client walks though the door that leads to freedom!, whether it be from a habit, stress or fear. Everything changes! It is really as easy as flicking a switch - yes it is that powerful because a change is being made at a much deeper level! 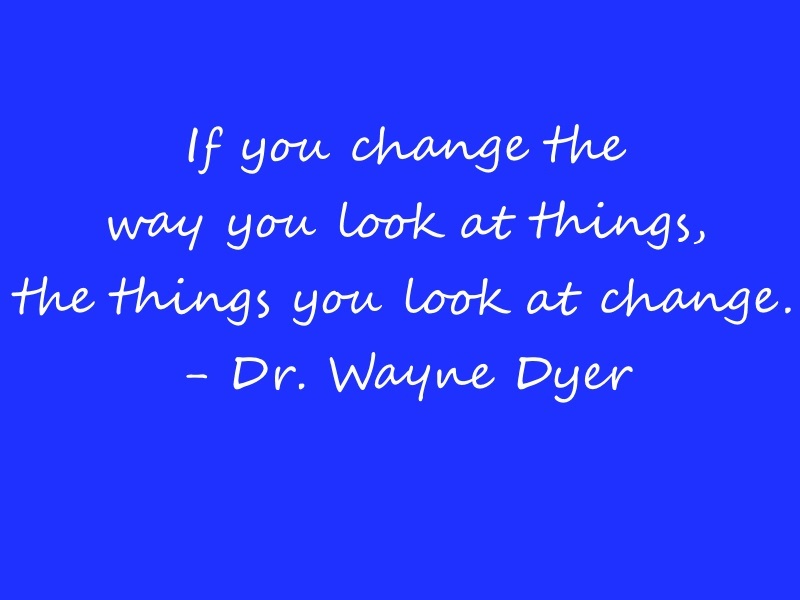 The only prerequisite is of course that my client is fully committed to making that change in their life. 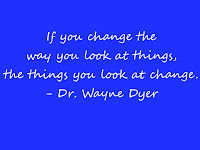 Call now on (086) 8211677 and I can help you make that change.